Jackie Sandoval had to go to a meeting. She found the room, saw some familiar faces and a place to sit. But once the session began, Jackie quickly realized something was amiss. She was in the wrong meeting. Instead of getting up to leave and drawing attention to herself, she decided to stay. The guest speaker at the meeting was Lisa Sarmiento, Walmart’s senior director of finance and strategy. Jackie was captivated by this successful businesswoman. By the end of the meeting, Jackie was eager to become a member of the organization hosting the speaker, the University of Arkansas chapter of ALPFA, the largest Latino association for business professionals and students with chapters nationwide and over 20,000 members. The student chapter, which works with ALPFA’s Northwest Arkansas Chapter, serves as a mentoring program supported by the George W. Edwards, Jr. Career Development Center at the Sam M. Walton College of Business. That experience includes ALPFA. Jackie attended its 2012 national conference in Las Vegas, Nev., which enabled her to make contacts and secure an internship with PricewaterhouseCoopers in Washington, D.C. Jackie says she envisions herself working in the risk management field after graduation. 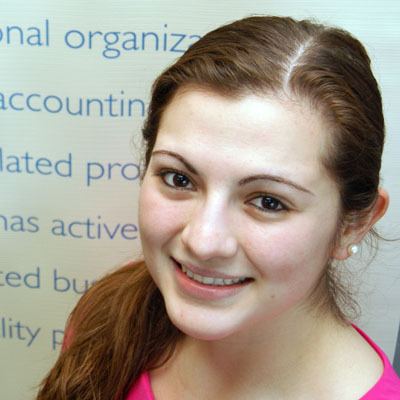 Jackie’s interest in business began when she participated in several mock trail competitions in high school. She became fascinated with corporate law and had the idea of becoming a lawyer. She made multiple visits to Walton College, looked at how many students got jobs after graduation and several other aspects. It was an easy decision. 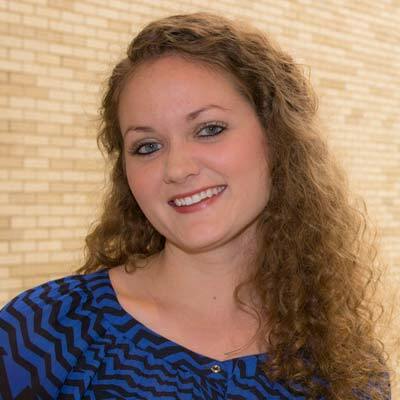 “Walton College is one of the best business schools, so where else would I go?” she says. Since enrolling at Walton College, Jackie says her interest in business grew to the point that law school is no longer on her radar. She says she is grateful for the opportunities the college has provided her. She also is grateful for the mentorship offered by ALPFA. Jackie says she aspires to pass it on to her fellow students. Currently, she helps students in many ways, such as making professional connections. She plans to continue mentoring students when she’s a professional, especially through ALPFA. “Without the help of ALPFA, I wouldn’t be as far as I am now in my career path,” she says. Beginning a new school and an entirely new era in your life is both thrilling and intimidating as you enter your freshman year in college. Fortunately, the Sam M. Walton College of Business helped me in this adjustment by providing me the opportunity to attend the Walton Block Party the first week of school. It became a tradition to attend the block party every year to receive free stuff, free food, and most importantly, meet new faces. During my time at the Walton College, I have learned the importance of relationships and how fostering them can help you achieve your goals. I have had the pleasure of learning from professors who have a passion for what they do. Professors such as Carole Shook, Dub Ashton, Steven Kopp and Molly Rapert have been instrumental in developing my passion for marketing. The pursuit of a marketing education opened the door for me to serve as an assistant marketing director for Chick-fil-A in Rogers, which then led to my current internship with Colgate-Palmolive. During the class Markets and Consumers, I was encouraged to pursue a major in marketing by Carole Shook. Although many professors might not understand the impact they have at moments like this, when the student is asking for advice such as which major to choose, these little moments are remembered and become stepping stones along a much larger path. Dub Ashton had the ability to make a 7:30 a.m. summer session class one of the most intriguing and engaging classes I have taken in my college career. (Talk about talent!) His method of teaching in Introduction to Marketing Strategies has benefited me greatly because I can still recall much of what he taught, and it since has been retaught in my upper-level marketing classes. When I would visit with him, he was always kind, and always made sure I learned something new. Once when we were in the midst of a conversation, he reached into one of his bookshelves to pull out a book. He then gave it to me as a gift. To this day, I am still surprised he gave me a book that had his personal highlights in it. During this semester, Molly Rapert has demonstrated an area of marketing that I have never experienced before. The creative, innovative and ever-changing side of marketing is exciting and stimulating. Her Marketing Management class is structured in such a way that it enables the freedom for students to actively engage in creativity through assignments, projects and exams. It is because of her class that I feel comfortable discussing current marketing trends with potential employers. As a sophomore, I was able to meet Renee Clay and was urged by her to join Leadership Walton. Leadership Walton gave me a jump-start on career preparation through events such as career fairs and resume revision sessions. It was through a career fair, and through the level of professionalism I attained from Leadership Walton, that I was able to acquire an internship with Colgate-Palmolive. While working with Colgate-Palmolive, I have learned many skills and gained valuable knowledge I expect to utilize in future occupations. Every semester, the Walton College has presented me with projects within my classes. This semester, I am working on several projects that I am excited about, including working with the nonprofit Youth Strategies to create a cause-marketing plan through my Nonprofit Marketing class and working with Ozark Natural Foods through my Marketing Management class to create marketing strategies to implement within the store. Because of my experience in the Walton College, I now look at the world through a marketing lens. Reflecting on my first week at the University of Arkansas, when I was intimidated by the uncertainty ahead, I realize that I am writing the last few sentences in perhaps one of the most meaningful chapters of my life. I am truly grateful for all those in the Walton College who have invested in me. It is because of them that I am more prepared to meet the uncertainty that is certain to occur. As I finish writing this chapter, and begin the next, I know that much of what I have learned while attending the Walton College, with particular emphasis on relationships, will guide my pen. 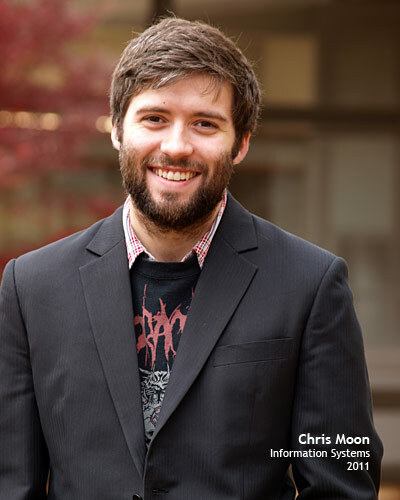 Chris Moon chose the Walton College of Business because of its excellent reputation and the opportunities it offered. Now a senior majoring in information systems and German, Chris has taken challenging classes, studied abroad twice, and met with representatives from some of the biggest technology companies in the nation. “If you’re going to go to the University of Arkansas, you should consider the business college,” says Chris, pointing to the abundant resources and high rankings of the Walton College. He emphasizes that the student body at Walton is very diverse, and not all students are headed for traditional business careers. His major, for example, could lead to a job as a video game developer, and he knows of several students who are planning to attend medical school after graduating. Chris also values the networking opportunities he has found in the Walton College. Recently, he attended Unite, the Unity 3D development conference, and was able to discuss his honors thesis project with the head of Unity’s Android operations. Chris is designing a mobile application that combines augmented reality and RFID technology, which could make RFID data more tangible while allowing for increased productivity and reduced inventory loss. For example, a cell phone with this app would show a video image of its environment, adding information about any RFID-tagged objects within its range. Chris recently accepted a position at Hewlett-Packard, and he explained that was drawn to HP as they are one of the largest, most profitable, and most environmentally friendly companies in the world. 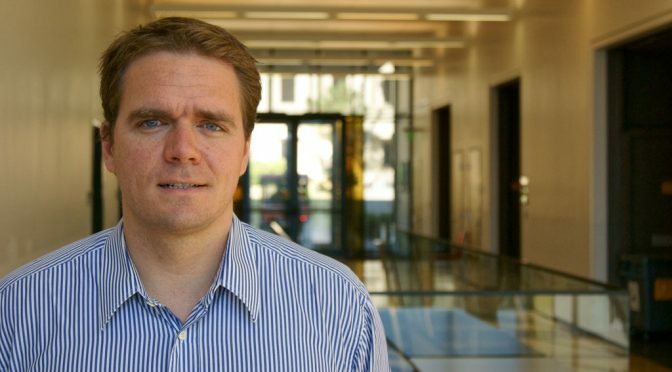 Chris would not be the first Arkansas graduate to work for Hewlett-Packard; their Chief Information Officer is a University of Arkansas alumnus.